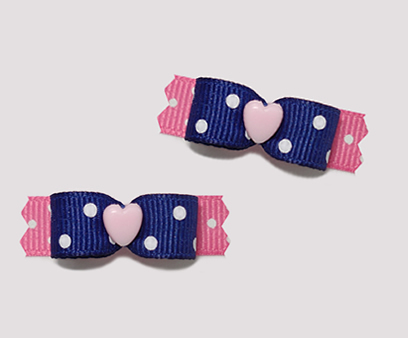 This fun bow features a pink ribbon with electric blue dots and has a flag back ribbon of complimentary blue satin. 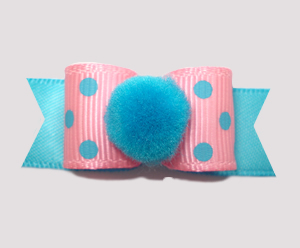 Atop this adorable bow is a blue pom-pom. 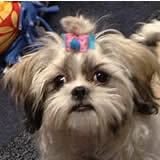 So very cute! 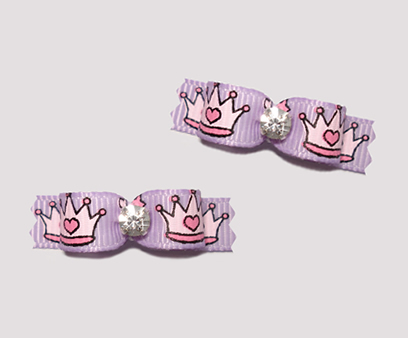 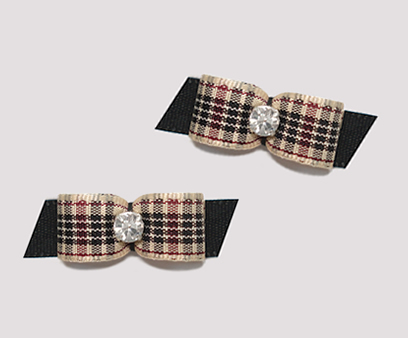 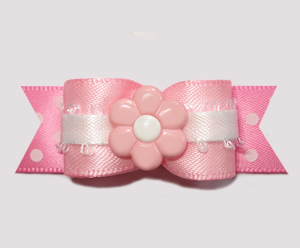 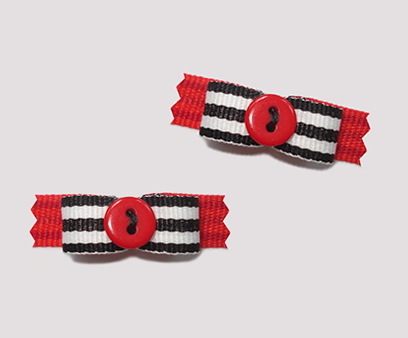 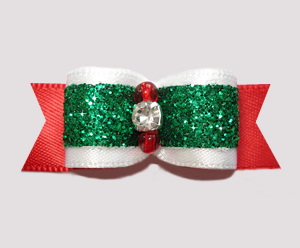 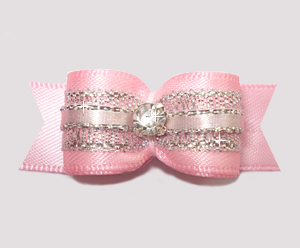 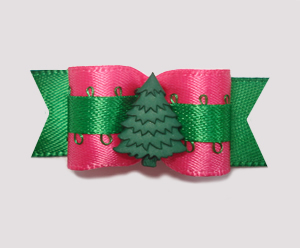 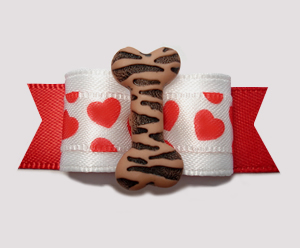 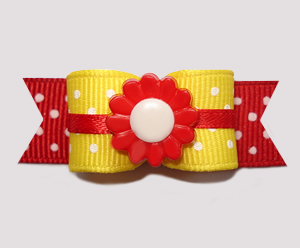 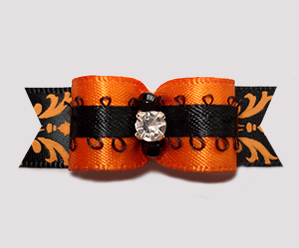 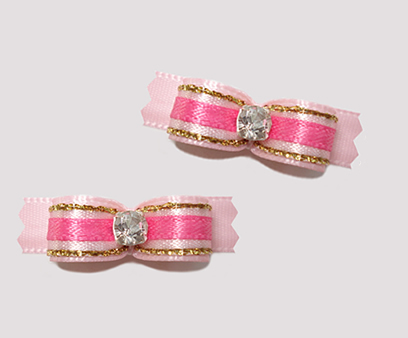 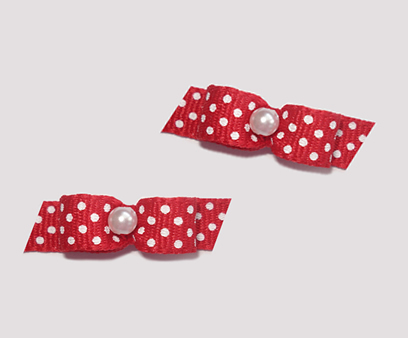 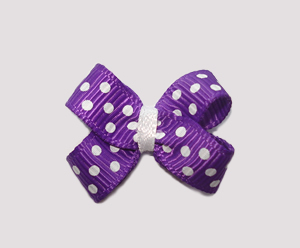 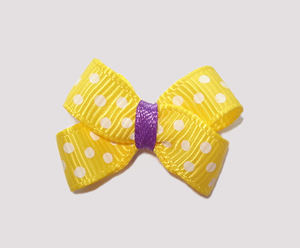 #T8938 - 3/8" Dog Bow - Cute as a Button!